After interviewing hundreds of language arts teachers across the country, we created a supplemental grammar curriculum to fill the voids that teachers universally identified. In the 2006-2007 school year, Forever Learning conducted a pilot program for the GrammarActive® Parts of Speech Series in three Baltimore, Maryland schools. 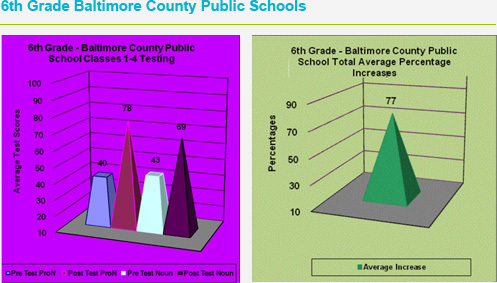 Our test groups included two sixth grade student bodies: Boys’ Latin School of Maryland, a private boys’ school, and a blue ribbon Baltimore County public middle school. These two schools collectively included over 160 6th grade students. We also provided the piloting program to a 10th grade English class in a public Baltimore City high school, National Foundation Academy, located within Digital High School. One teacher in each grade per school administered the GrammarActive® Parts of Speech supplemental curriculum and review activities; the classes used it for the entire school year. 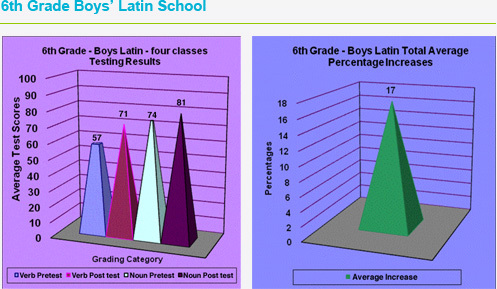 Our results are based on pre and post testing from the GrammarActive® curriculum. Students in the pilot classes were given pre-tests before beginning an instructional unit. 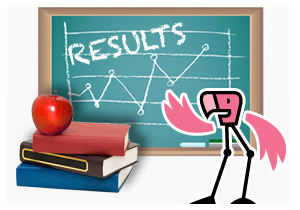 The teacher then began using the interactive teaching methods of GrammarActive®. Once the unit was finished, a post-test, which covered grammar usage and its application to writing, was administered to measure student improvement. Below are the results of the pre and post testing. Total Avg. 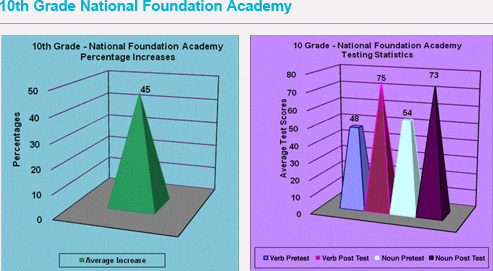 % improvement data provided beneath chart is the average of the percentage increase in student performance on both tests taken.